What is the best concrete floor vapor barrier? That's a great question! I'll get to that in a minute. Another great question is; why do you need a vapor barrier under your concrete floor? I'll answer that one first. I'm Mike Day, my company, Day's Concrete Floors, Inc, has been installing concrete floors and vapor barriers under those floors for over 30 years. We also install coatings like epoxy paint on top of those concrete floors. Epoxy and other flooring materials are really sensitive to moisture. Moisture vapor from the sub-grade moves up through concrete and escapes or evaporates from the surface. Very simply, if there is too much moisture, a coating like epoxy will fail causing it to blister and peel. In other words it won't stick to the concrete. This is why you need a "real" vapor barrier installed under your concrete floor or slab before the concrete is poured! The truth about regular "poly"
It used to be good enough to put 6 mil poly under your concrete floor or slab, but not anymore. Regular polyethylene plastic is made from recycled materials and low grade resins that can break down over time. They also don't meet specifications for puncture resistance or permeance ratings for most new construction these days. Poly would be better called a vapor retarder as it just slows the rate of moisture vapor transmission from a slab and doesn't really block it. The best vapor barriers for concrete floors and slabs are a new generation of Poly made from high quality Polyolefin resins that are designed to ensure low permeability, high tensile strength, and superior puncture resistance compared to regular polyethylene sheeting. The company's who manufacture these new vapor barriers make them in 10 mil and 15 mil thicknesses with different widths and lengths. Here are some of the company's and their products. 15 mil Vapor Barrier by Americover: Americover has a high performance 15 mil vapor barrier for installation under concrete floors and slabs that will retard moisture migration and radon from escaping through the surface of the concrete floor. It helps reduce mold and condensation in buildings and is resistant to decay so it will protect against moisture emission for decades. STEGO WRAP 15-mil VAPOR BARRIER: Stego Wrap claims they have a virtually zero permeance under concrete slab vapor barrier. Their 15 mil vapor barrier also controls radon gas, is resistant to hot/cold temperatures, resistant to soil chemicals & pollutants, and like I said allows virtually Zero water vapor transmission up through the slab. I have personally used this product, it is excellent! W.R. Meadows 10 and 15 Mil Vapor Barrier: W.R. Meadows makes a concrete vapor barrier called PERMINATOR. Perminator vapor barriers help reduce the penetration of moisture and water vapor through the slab and into the building, which helps reduce mold, fungus, and mildew. Perminator also helps reduce radon gases from entering a building through the concrete floor. All these new generation moisture and vapor barriers are very tough and will resist damage from normal job-site traffic. 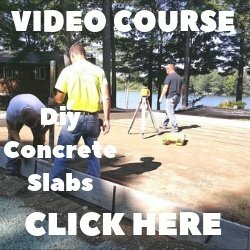 They won't tear, puncture, or split very easily, which allows you to prep the area for concrete without rushing. All three companies vapor barriers meet or exceeds all requirements of ASTM E 1745-09 Class A, B & C.
Check these three companies out for yourself and make your own decision as to which one is the best concrete floor vapor barrier for your project. In my opinion, any of the three would make a great choice. 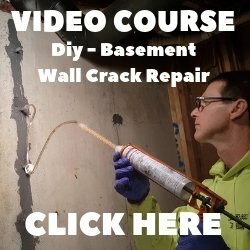 How to install a vapor barrier. Some great information and tips for laying it down. What does a vapor barrier cost? Always good to know! Understanding moisture vapor transmission. Why it's bad for concrete coatings.